Tuesday Post ~ which means poetry and photography from our blog friends from 'across the pond'. The first photo is the sky at twilight here in MA. The second photo is a day time sky and harbor photo here in MA. We live in a beautiful place; forever grateful. 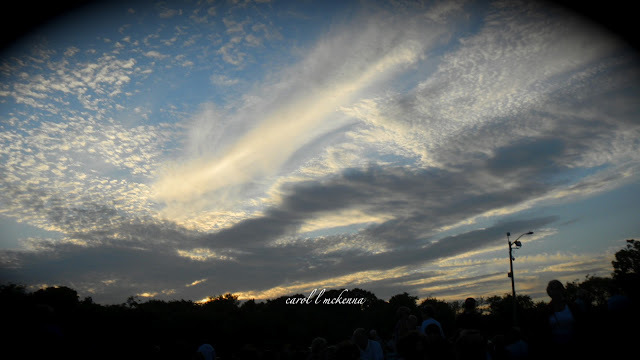 My haiku is below and prompt was 'clouds' which is another reason I chose these photos. Enjoy. Do stop by and read the poets and view the creative photographers from 'across the pond' listed above. Wishing you a magical and creative week. Beautiful scenes & beautiful words! Lovely triplet of haiku Carol. Every haiku so strong and almost visible and touching the clouds. Good one. Thank you for sharing on Tackle It Tuesday. What lovely skies you have. What wonderful cloud photographs ArtMuseDog & Carol! They are indeed exceptional. I'm a cloud watcher from way back...they never cease to amaze me with their many formations, constantly changing. Beautiful pics and haiku! Clouds are a beauty of nature !!! Both lovely shots- love your haiku! giving so freely", as the whole set, in fact. Stunning sky shots and I also like the haikus. Haiku goes well with photos. 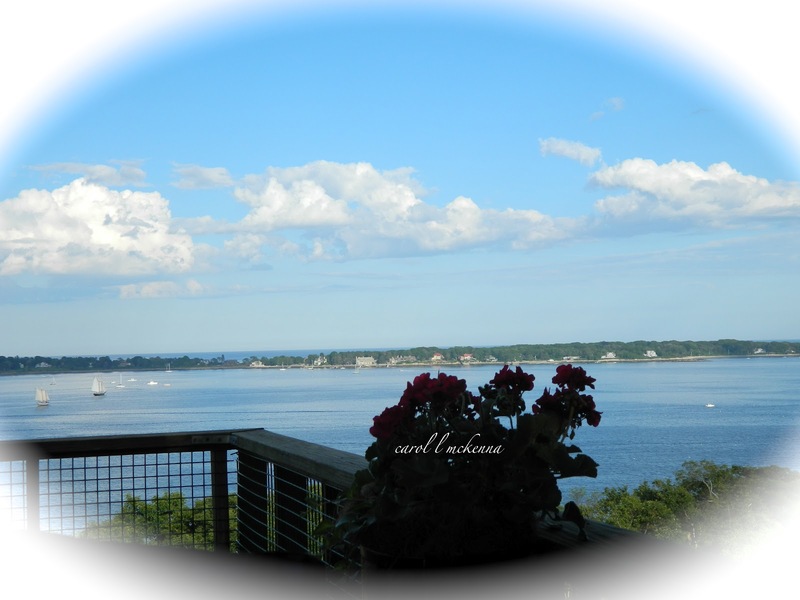 Fabulous shots of the sky and lovely haiku depicting clouds! The clouds in the first photo are my favorite. In this month I have seen these scale-like clouds only once. We call these clouds "uroko gumo" which literally means "scale cloudls"
The clouds are shining in gold and sliver. How gorgeous and fabulous!! I love your haiku on clouds. Nice sky shot. Glad you didn't vignette it like you usually do, I feel that takes away from the photo. This one looks good. Lovely haiku, your are the poet. Your sky looks beautiful too and the harbor scene is very pretty. Thanks for sharing, hope the rest of your week is a happy one. Lovely post, Carol. Those clouds are amazing!